culture360.org focuses on arts and culture connections across Asia and Europe - from New Zealand to Ireland, Malta to Mongolia and Laos to Latvia, there are 49 ASEM member countries in our editorial sights. So here’s an overview of the Asia-Europe cultural agenda 2014 from culture360.org’s Editor Judith Staines, highlighting some of the best arts and culture events coming up in the next year. New European Capitals of Culture are launched for 2014 in the Northern periphery of Europe. Umeå (Sweden) and Riga (Latvia) take the honours and present year-long programmes with a strong focus on participation and collaboration with local citizens and seeking to reach out to visitors to the cities. These festivals aim to make a real impact on the cities and generate new stories, networks and shifts in perception for years to come. The Year of France in Viet Nam took place in 2013 and now changes places to become the Year of Viet Nam in France running from January - September 2014. It launches with a strong programme during the Toulouse Made in Asia Festival (30 January - 15 February), including a Viet Nam Next contemporary art exhibition programme. If you miss it in Toulouse, works are travelling to Nîmes and Val de Marne during the year. Keep an eye on the Année France Viet Nam website as there are some great events coming up in France in 2014. Also launching in France in 2014 is the year of China-France, celebrating 50 years of diplomatic relations: follow the cultural events calendar on the France-Chine 50 website. And don't forget that the 2013-14 Spain-Japan Year commemorating 400 years of exchanges between the two countries continues until July 2014. The Año Dual España-Japón offers a rich programme of cultural events in Spain and Japan. culture360.org is also watching with interest how the cultural cities movement has gained momentum in Asia, with the designation of three East Asia Cities of Culture for 2014: Gwangju (Korea), Yokohama (Japan) and Quangzhou (China). Watch this space! National cities of culture are becoming a growing phenomenon. Limerick has been chosen as Ireland’s first National City of Culture in 2014. With over 200 cultural events, the programme incorporates a vision of Limerick as an internationally connected city. The Commonwealth Games take place in Glasgow (23 July - 3 August) and a Glasgow 2014 Cultural Programme is planned, both in the city and Scotland-wide, over a time period surrounding the Games. Highlights include a global aerial theatre performance with multiple stages in Scotland, Australia and Brazil and an online choir with singers and songs from around the Commonwealth. 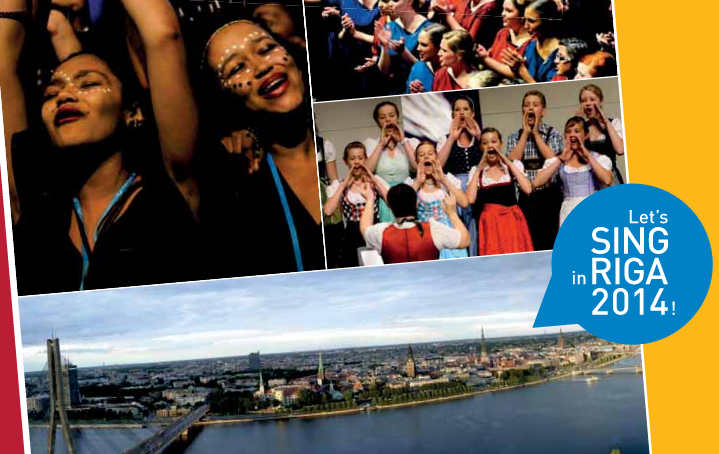 If you are passionate about singing, the World Choir Games take place in Riga, Latvia (9-19 July). The 8th World Choir Games – the world’s largest choir competition – bring the international flair of the Choir Olympic idea to one of the most traditional singer regions of the world. Over 450 choirs from 58 countries have registered to date and you can listen to the official song here. culture360.org readers are always quick to respond to cultural research and policy events and calls. Here’s a taster of what’s on in 2014. Beyond our geographical region but well inside our international arts and culture sphere of interest is the 6th World Art and Culture Summit (13-16 January) taking place in Santiago de Chile. Good to follow the debates online and on Twitter to catch the essential themes. The 8th International Conference on Cultural Policy Research ICCPR2014 will be held in Germany at Hildesheim (9-12 September) and Berlin (12-13 September). A call for proposals has been opened and registration starts in February. As part of the Greek Presidency of the EU, the 3rd Stavros Niarchos Foundation International Conference on Philanthropy is scheduled to take place in Athens (26-27 June) on the topics of Philanthropy & Ethics and Arts & Culture: Creative Assets and their Social & Economic Importance. Organised every three years, the 18th ASSITEJ World Congress and Performing Arts Festival focuses on theatre for children and young people and takes place in Warsaw, Poland (23-31 May). The ASSITEJ World Congress is the most important meeting of members of the International Association of Theatre for Children and Young People and registration opens 1 February. Cultural networks are on the move in 2014 with the IETM Asian Satellite Meeting (12-14 May) to be held in Melbourne, Australia, attracting performing arts managers and artists from Asia and Europe, with a programme centred on developing a Three Way Dialogue between artists, professionals and funders. ENCATC is building capacity of cultural management researchers, academics, cultural managers, artists, policy makers and students with a study tour to Shanghai (9-12 April). It also organises the 3rd ENCATC Academy in London (8-9 May) on the theme of ‘Cultural Relations & Diplomacy with a Focus on Asia’, a joint initiative of ENCATC and Goldsmiths, University of London in partnership with the Asia-Europe Foundation. And finally, the 10th China (Shenzhen) International Cultural Industries Fair (15-19 May) is a huge marketplace for a wide array of cultural industries products and services. Under the slogan ‘Develop Culture with Trade’, it attracts increasing numbers of European exhibitors and buyers. As usual, contemporary art biennales and fairs feature high on the cultural agenda for 2014. There are striking parallels between some of the themes - dreams, imaginings, oblivion, voyages into the unknown, desire, longing … - perhaps dreaming of different realities is the artistic solution to living in uncertain times? You can find an excellent list of links to art fairs, biennales and other art events, both Asian and international, on Art Radar Asia. 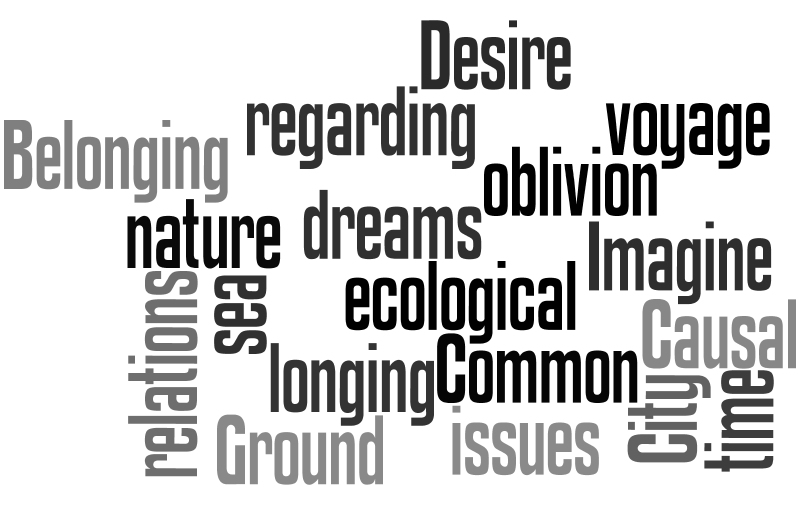 For a global list of biennales, consult the Biennial Foundation Agenda 2014. Here’s a speedy journey through a few of the big hitters and some of the more out of the way events this year. The 19th Biennale of Sydney (21 March - 9 June) on the theme, You Imagine What you Desire, “seeks splendour and rapture…” and looks like a great programme with 90 artists from 31 countries. Students of all things Biennale should check the News section for the Flashback Friday which takes a look at past events - back in 1979, dialogue between Australia and Europe was the theme. It’s a big biennale year in Korea, with the 10th Gwangju Biennale (5 September - 9 November) and the Busan Biennale (due to open in September). The Seoul International Media Art Biennale is looking good with an active pre-biennale programme in place leading up to the September event. Kochi-Muziris Biennale, which made such a splash in its first year in 2012, is planning the 2nd edition for December 2014 in Kerala, southern India, under the curatorship of renowned Indian contemporary artist, Jitish Kallat. Dates and themes are to be announced. As ever, there’s a lot going on Japan. The 5th Yokohama Triennale (1 August - 3 November), under the artistic directorship of artist MORIMURA Yasumasa takes a ‘Voyage through the Sea of Oblivion’ with the first artists announced. A high-profile newcomer to the Japanese contemporary art festival scene is the Sapporo International Art Festival (10 July - 28 September) with Guest Director, artist Ryuichi Sakamoto. ‘City and Nature’ are the themes and SIAF is running open calls, notably for ideas to transform urban heritage sites in the city. The Fukuoka Asian Art Triennale (6 September - 30 November) is in its 5th edition connecting with Asian artists and themes. 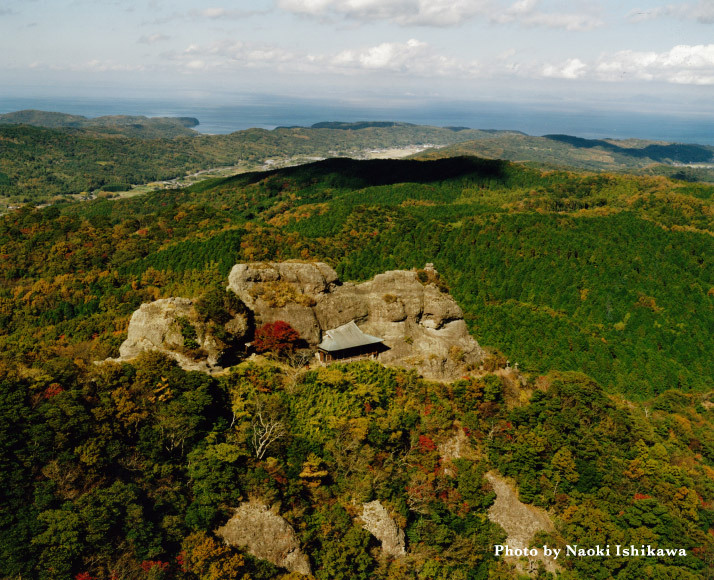 And in a remote peninsula of southern Japan, the Kunisaki Art Festival (1-23 March) offers a fascinating detour into nature, spirituality and contemporary art (info only available in Japanese but contact Beppu Project if you want to know more). In Venice it is architecture year with the 14th International Architecture Exhibition (7 June - 23 November) on the theme of Common Ground. Elsewhere in Europe, you can catch Helsinki Photography Biennale (27 March - 4 May) which has a focus on environmental issues. Ireland’s Contemporary Biennial of Art, Eva International (12 April - 6 July) takes place in Limerick, the aforementioned National City of Culture. 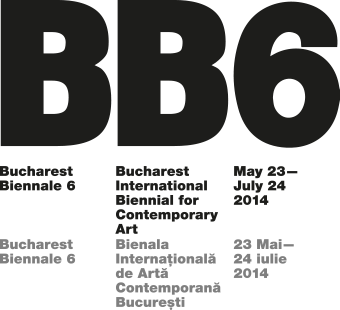 In Romania, Bucharest Biennale (23 May - 24 July) considers identity, on a theme of ‘Belonging and Longing’. Berlin Biennale (29 May - 3 August) has a collaborative international team of curators and promises to explore the intersection between larger historical narratives and individuals' lives. Mediations Biennale in Poznan, Poland has yet to announce its programme for 2014 but an earlier edition had a special focus on Asia. Liverpool Biennial (5 July - 26 August) has launched an online journal in the run up to the next Biennial. Stages presents new writing and thinking, and is a space for staging research generated from the Biennial’s year-round programme. Travelling to Russia for the first time, the roving European biennial, Manifesta 10 - The European Biennial of Contemporary Art (28 June - 31 October) is hosted by The State Hermitage Museum in St Petersburg. Elsewhere in Russia, the Moscow International Biennial for Young Art (26 June - 10 August) on the theme ‘A Time for Dreams’ has run an open call for works and curatorial proposals, attracting a lot of attention on culture360.org so we hope for good Asia-Europe participation. The Ural Industrial Biennial of Contemporary Art in Ekaterinburg is due a 3rd edition in 2014 so keep an eye on that website for details. Asia continues to be a hotbed of literary festivals. The year opens with the flagship event in India which has parented many of the newer Asian literature festivals - Jaipur Literature Festival (17-21 January), described as “the largest free literary festival on earth”. Well worth planning a visit some time, to open your mind and expand your reading habits. Following on comes the Irrawaddy Literature Festival (14-16 February) in Myanmar - for its 2nd edition ILF takes the road to Mandalay and takes place in a UNESCO World Heritage Site that holds the world’s largest book, inscribed on 729 marble tablets. Pakistan has a trio of interesting literature festivals in the first part of the year: Karachi Literature Festival (7-9 February) and the newer Islamabad Literature Festival are organised in partnership with Oxford University Press, while Lahore Literary Festival (23-24 February) aims to bring together, discuss and celebrate the diverse and pluralistic literary tradition that distinguishes Lahore as a city of arts, activism and big ideas. China also sees literature festivals in the early part of the year with the Shanghai International Literature Festival (March 7-18) and the sister Capital Literary Festival Beijing (March 20-24). The large-scale Bookworm Literary Festival (March 7-21) centres on Beijing with 90 Chinese and international speakers from 24 countries. In Wellington, New Zealand, Writers Week (7-12 March) is part of the New Zealand International Arts Festival. You can find a calendar of the many literature festivals in Australia throughout the year. And a major new Australia & New Zealand Festival of Literature and Arts is coming to London (29 May - 1 June) this year. Edinburgh Book Festival (9-25 August) has a huge programme featuring over 800 writers and thinkers and is dedicated to ‘big ideas’. Later in the year in Asia you can catch the Ubud Writers and Readers Festival (October 1-5) in Bali, Singapore Writers Festival (Oct 31 - Nov 9), the George Town Literary Festival (November), 4th Mumbai International Literary Festival (14-17 November) and Hong Kong International Literary Festival (November). It’s also good to follow who are this year’s literary honoured guests, to see what Asia-Europe connections feature in the worlds of publishing and literature. The Salon du Livre Paris (21-24 March) presents the City of Shanghai as Guest of Honour with 15 invited authors, while London Book Fair (8-10 April) puts the Spotlight on Korea for its 2014 Market Focus. Frankfurt Book Fair (8-12 October) has Finland as guest country in 2014, under the slogan Finnland. Cool. 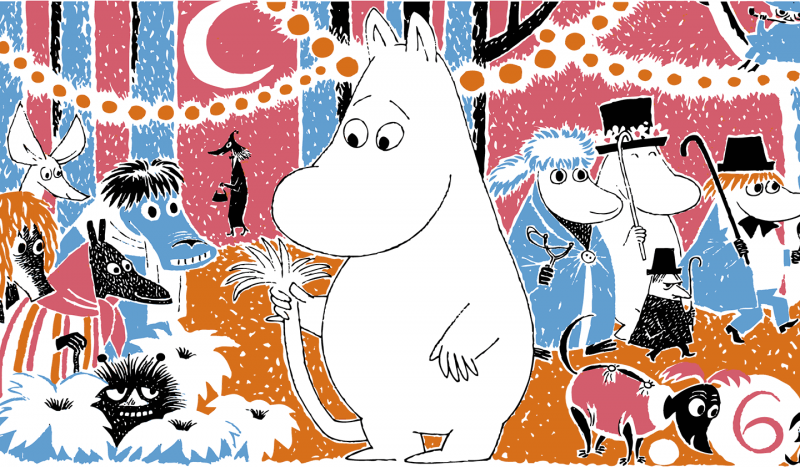 2014 is also the centenary of the birth of one of Finland’s literary stars, Tove Jansson, and arts and literary events and exhibitions are touring Finland, Europe and several cities of Japan, a country that loves the Moomin characters and stories. And that’s just the TIP OF THE ICEBERG of some of the great arts and culture events taking place in Asia and Europe this year! So don’t forget that if you are organising a cultural event in Europe with Asian involvement, or if your arts programme in Asia has participation from Europe, let us know. culture360.org’s users are interested in a wide range of arts and culture events and are quick to pass on content through social media. You can upload your events on our Facebook page or email it to us for review for the main site.